The new “Pike” rambler is located on a quiet cul-de-sac. 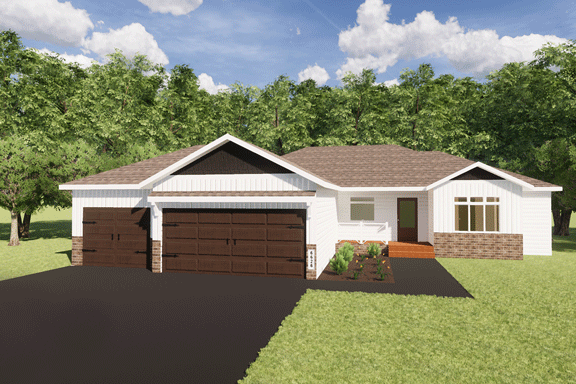 Separate bedroom wings, a mudroom and a 3-stall garage are only some of the fantastic features of this plan. The spacious kitchen includes an oversized island, pantry and loads of custom cabinets. The master suite, 2 spacious bedrooms and a bathroom complete the main floor. The unfinished lower level has plenty of space to grow with a family room, 2 bedrooms, bathroom and oversized storage areas.